Certified with both Google Cloud Machine Learning＆Infrastructure Specialization, the single achiever in Northern Asia. Target Smart Device manufacturing; present outstanding Taiwanese AI talents and technologies with diverse application scenes. Founded for just more than 1.5 years, CloudMile has experienced significant growth: CloudMile realized extraordinary business performance in its first year, and its Technology Team has been highly recognized with multiple certifications and was selected as the “Coolest 10 Startups” by MOST, together with Appier and Gogoro. Earlier this year, CloudMile and Google Cloud accomplished the first ever case of traditional industry deploying AI technology in Taiwan on GCP . And just in last week, CloudMile obtained the certification of Google Cloud Machine Learning Specialization, which prompts it to become the sole Google Cloud Premier Partner in Northern Asia that is certified with both Infrastructure and Machine Learning Specialization. Spencer Liu, CloudMile’s Founder＆CEO is a seasoned entrepreneur in Taiwan’s startup arena; he has placed emphasis not only on proficiency and customer service but also on nurturing talents. In order to better suit the market’s need, Yan-Xiang Wang, who has led the Machine Learning Team and facilitated the piloting deployment of AI in traditional industry, embarked on his career as the Chief Technology Officer in October; he will be working with the Chief Data Scientist, Zheng-Hua Guo, to enhance CloudMile’s growing expertise. 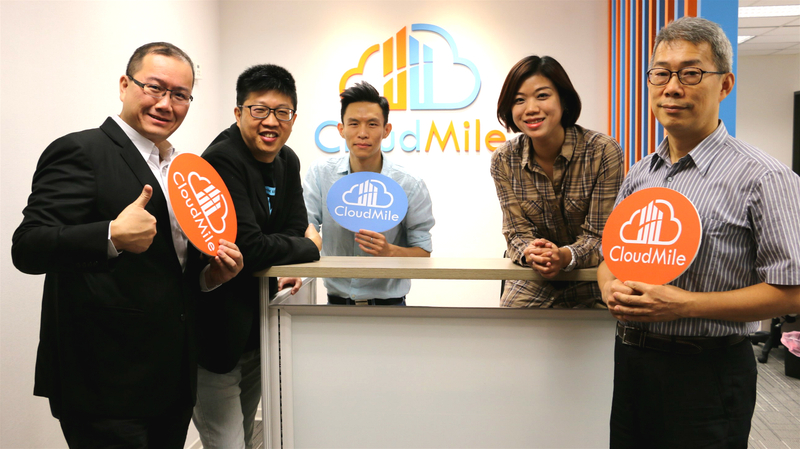 Upon obtaining the latest funding, CloudMile will plan out its overseas market and expect to launch its AI products and services in 2019. CloudMile management team(from the left): COO, James Kao Founder&CEO, Spencer Liu CTO, Jonathan Wang CSO, Weiwei Chiang and Chief data scientist, Dr. Kao.